May 29, 2018 November 27, 2018 Phillip Multop Comments are off. Growing up on a dairy farm in Custer, WA, Chris had every intention of following in his father’s footsteps to become a dairy farmer. However, that all changed at the age of 17 after he witnessed a neighbor’s devastating house fire. Despite the best efforts of the local fire department, sadly two people perished during the fire. After that, Chris was plagued with the question, “If I had been on the fire department that day, could I have made a difference?” He then made the decision to join the local volunteer fire department. He soon discovered he loved everything they had to offer and decided to make a career of it. Chris has been a professional firefighter for 32 years. Chris currently works on the North Slope of Alaska as an Assistant Fire Chief for the Greater Prudhoe Bay Fire Department and has loved it for 19 years. He and his team provide fire protection and EMS to the BP refinery and numerous industrial sites, along with services to man camps, the Town of Deadhorse, the airport, Dalton Highway and beyond. “Each and every type of firefighting has its own special hazards. What makes our department unique up here is that we are truly an “All-Hazards” department.” Chris explains. Across the board, firefighters are known to work hard and put the best interest of others above their own, even at a moment’s notice. But most in this field would agree that they do not see themselves as heroes. Their jobs are often routine, and often times monotonous. However because of people like Chris, who put themselves in the position to be called into dangerous situations all the time, the rest of us can sleep easier at night knowing they are on duty. 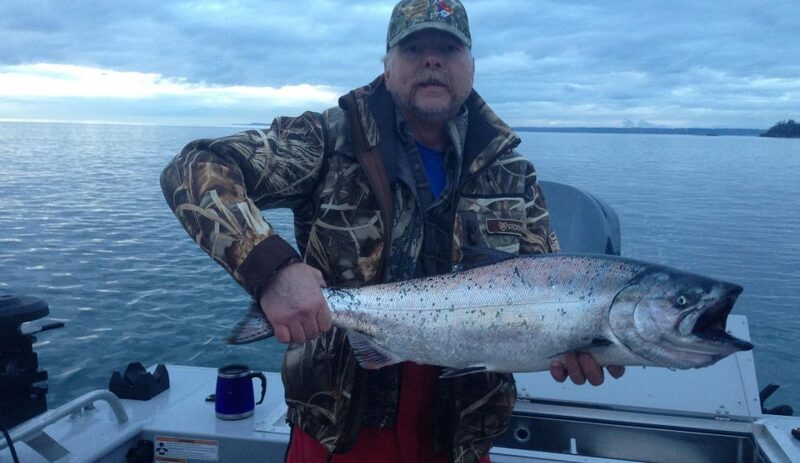 When he’s not putting out fires in Alaska, Chris enjoys spending time in the great outdoors hunting and fishing! Born and raised in Whatcom County, Chris takes any chance he can to go outside and enjoy the beautiful PNW. 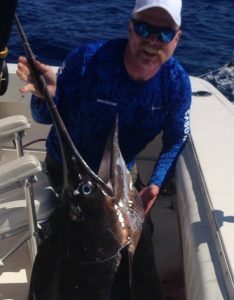 But one of his favorite moments was a few years ago in Cabo Mexico where he and his crew hooked a 230 pound Blue Marlin! What a rush! Pictured, Chris shows off another big catch; a 200 pound halibut off of Vancouver Island. 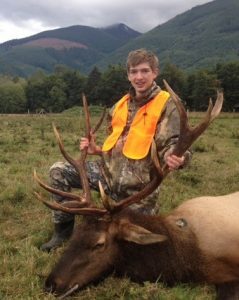 However many amazing experiences Chris has had hunting and fishing, hands down his favorite time was hunting with his son (pictured is Scout age 14) when he shot his first Elk. One could expect that someone such as Chris with so much hunting knowledge would have a couple great recipes in his back pocket; and as a matter of fact he does! Chris generously agreed to share with all of us one of his all-time favorite duck recipes! Multop Financial has had the privilege of serving Chris Pomeroy for five years. Not only is he a valued tax and investment client, he is a true friend to the firm and greatly respected amongst his peers. Soak fresh duck breasts overnight in salt water. Marinate in a solution of: 50% Balsamic Vinegar / 50% Olive oil, + a little Montreal Steak seasoning or salt if you prefer. Marinade for about 4 hrs. Wrap those little buggers in Skinny Pig (Bacon) and BBQ them until Medium Rare. Don’t over-cook them! Apple Dumplings – Fall Recipe!